We are back home and finally settled in after our long holiday week! We had a great Christmas. It started out a little rough. Campbell was so sick at the beginning of last week. We are lucky that he's hardly ever been sick but this time was a doozy. I decided to take him to the doctor on Tuesday for his severe cough. I wanted to get him on some meds and zap it as quickly as I could since Christmas was fast approaching. They gave him a shot of antibiotics and said if he wasn't better by lunch the next day we needed to call. Well, he wasn't better so they had us come in again. The doctor wanted to check him for pneumonia so we had to do a chest xray and draw some blood. It was traumatizing for all of us!! Bless Campbell's poor little heart. Thankfully everything came back negative and we gave some oral antibiotics a try. By Christmas morning Campbell was feeling like his normal self again. I hated that my baby boy felt so miserable but I sure did love that all he wanted to do was snuggle with me. 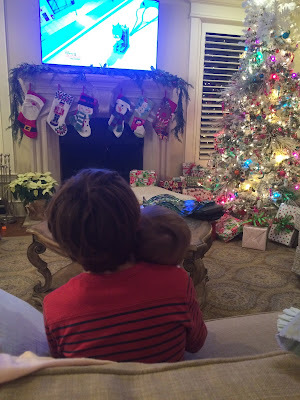 One of my favorite Christmas memories this year was Christmas Eve. 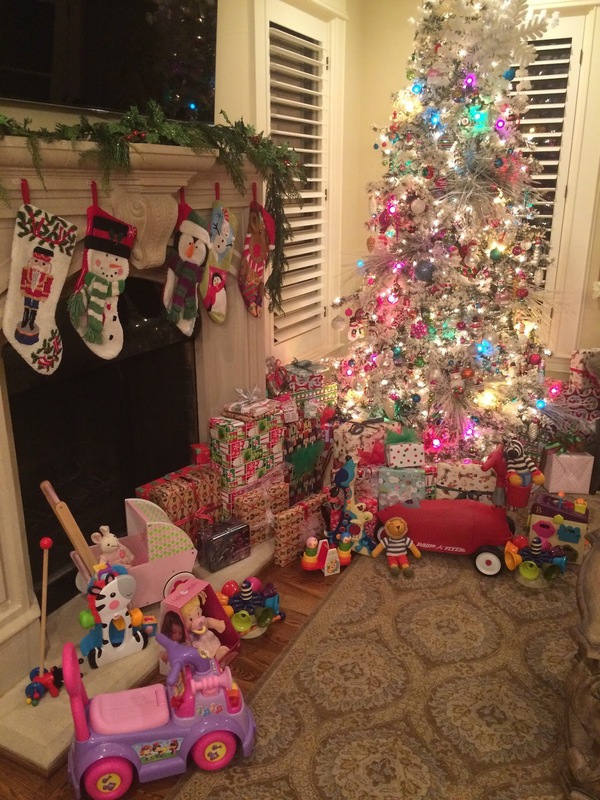 After we put Campbell to bed, Scott built a few toys and Mom, Dad and I set out all of Santa's presents for the kids to see in the morning. That was one of my favorite memories from last year too. It just looks and feels so magical to see those toys ready and waiting for tiny little eyes to spot them! 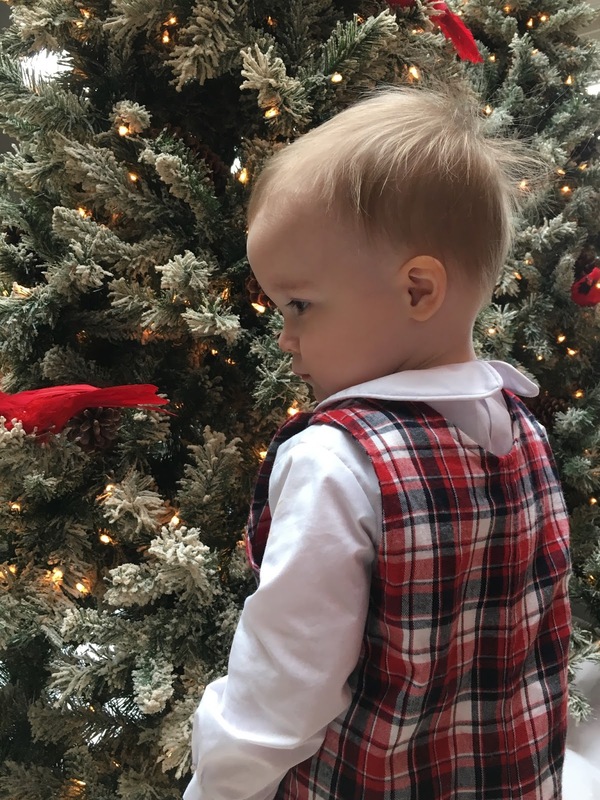 Christmas is so much more fun when you have lots of little ones! Also, I just wanted to share this one photo because it was so sweet to me. We were all hanging out on Christmas Eve and I looked over to see Campbell sitting in his big cousin, Landon's, lap and watching some cartoons together. Landon is so, so sweet to the babies and it was no surprise to see this but it warmed my heart up so much!! !